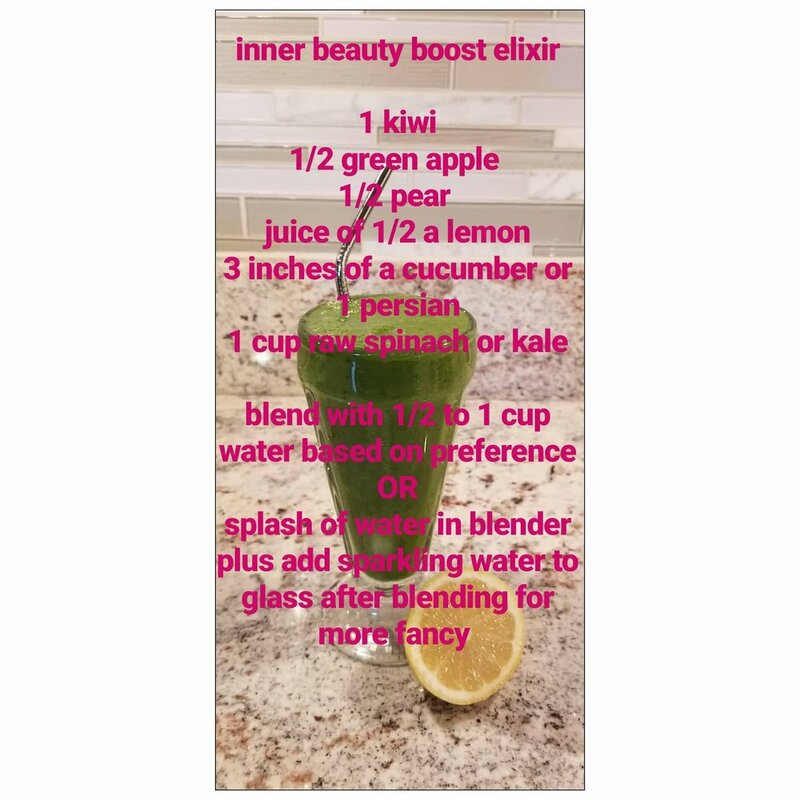 As a preview for an upcoming blog on achieving healthy skin from within, here is a recipe of a delicious and nutritious drink I love! Get your glow on! More to come on the power of nutrition and beauty! Samples at a recent Glow event!